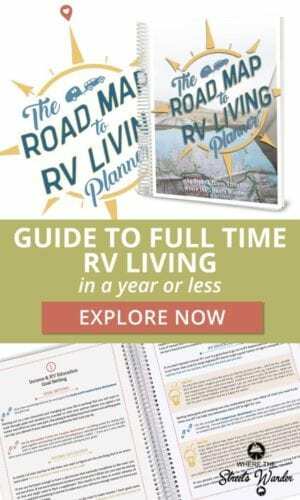 If you have been watching closely, you will have seen that full-time RVing isn’t just for retired people anymore. This evolution of downsizing into tiny homes and RVs continues to grow. You see many full-time families on the road with their children and more often see people in the 40 – 50 age range leaving their jobs and finding income remotely. That is what we did. We aren't retired. We work remotely for a full-time income and travel in our RV. Read on for more details on this movement of people choosing the RV lifestyle for themselves. As we look back at how people retired, we would have seen that many people waited to travel until they were retired. They worked hard for 40 years and saved money. If they had enough they would travel. 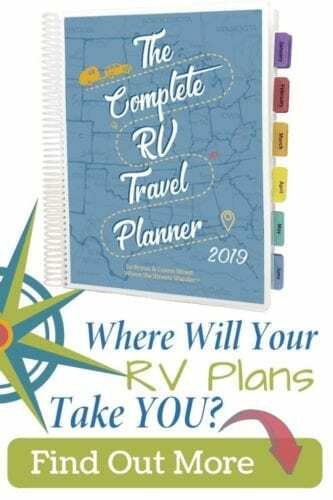 Often times that traveling meant buying an RV and going south for the winter and coming back near family in the summer. Or they would buy an RV and take off and travel west (or east) to see what they could for anywhere from a couple months to a couple of years before coming back to a house to live. Over the past 10 years, there has been an insurgence of people who are hitting the road before they retire. The age groups are getting younger and younger. Our age of technology is enabling people to work remotely and travel. RV sales are at an all-time high. People are ditching suburbia and taking their kids to see America the Beautiful and educating them along the way. Our daughter, her husband, and their 4 children are among this growing trend. This growing movement is something to keep an eye on. Full-Time RVing isn't just for retired people. Are you someone who wants to travel full-time? Workamping isn't your only option for earning money while you travel. There are many full-time, remote work jobs that can fund your lifestyle and let you see the great USA. This article on How to Create a Full-time Traveling Income shares a few thoughts on income possibilities. Think about how you can take your current skills and offer them for pay but do them remotely. You might be surprised what a shift in your thinking can do in creating a new reality for yourself. Many questions occur when thinking about changing up your life in a dramatic way. Often times the reaction to this is denial….” oh I can’t afford that!” or “I don’t want to do that” which is a cover-up for the real reason of thinking you can’t. If you truly desire to do something you can. The old adage – “Where there is a will, there is a way” is completely true. Shifting your thinking is the way to change your life if you want to. Will you be among the next tribe of people who are getting a new life? What is holding you back? 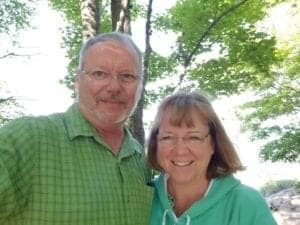 Full-Time RVing isn't just for Retired people! Start the conversation below. If you are interested in full-time RVing and have questions…let us help you! Wander with us and let us encourage, educate and inspire you to live the life you have always dreamed of! Pitfall ahead! Get an RV Inspection before you buy!